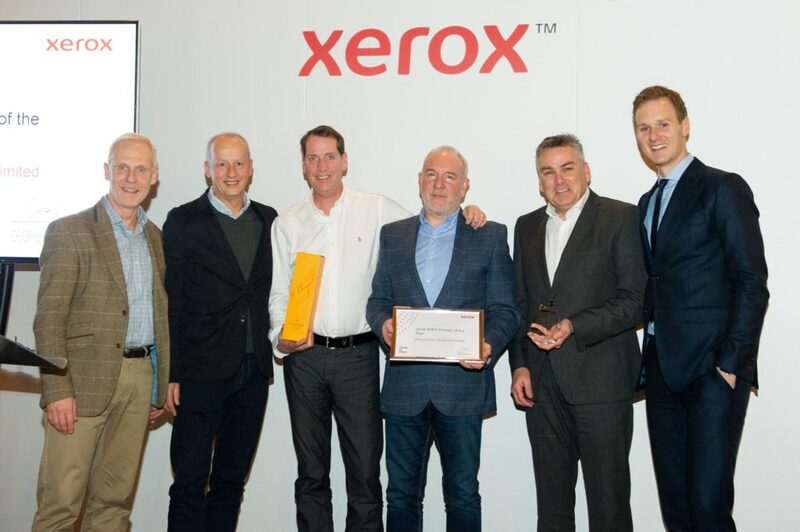 Zerographic are delighted to announce that they have been awarded Xerox XPPS Partner of the year for 2018. This coveted award is in recognition of a market leading performance delivery within the managed print services sector. 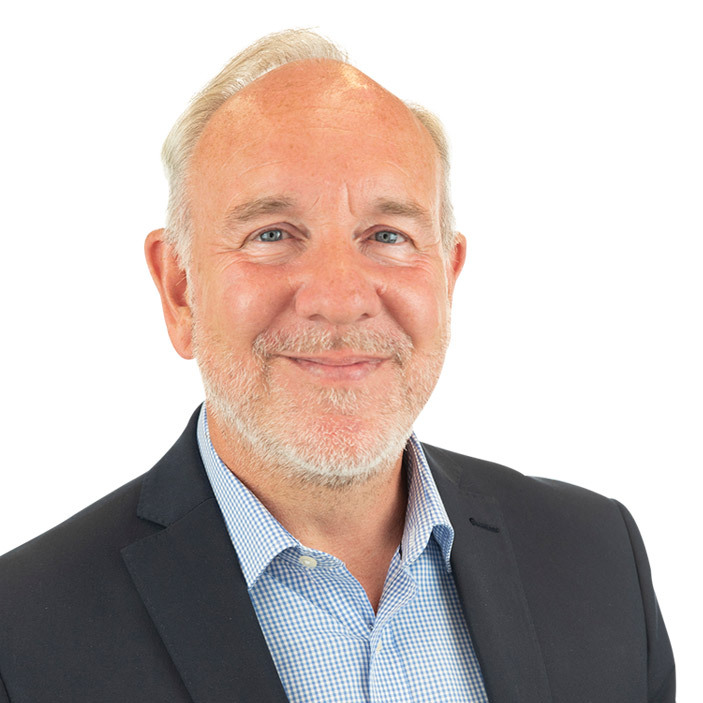 It is an achievement that comes after a significant year of transformation and growth for the business as they built their customer solutions centric proposition, a bespoke service delivered through Zerographic Managed Print Services division and having achieved a record year of performance with over 30% growth. 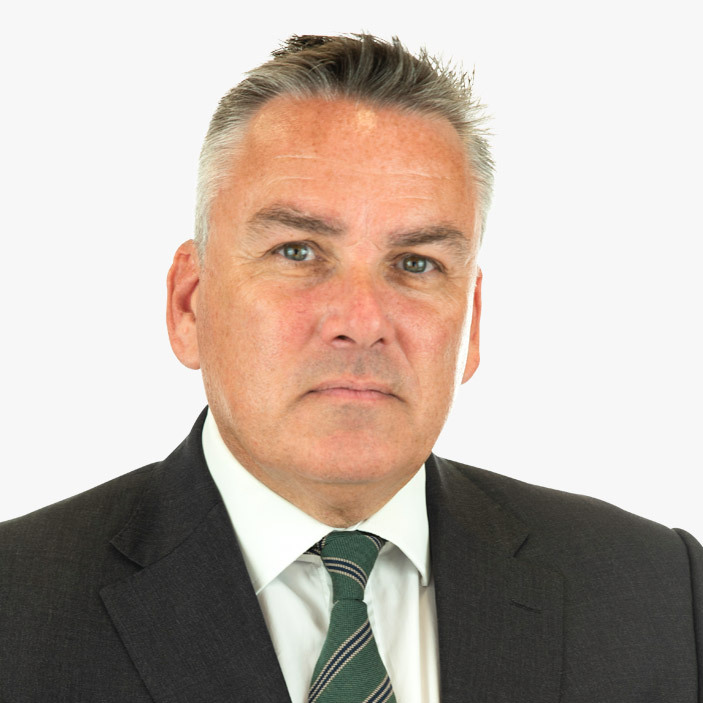 Zerographic have invested in dedicated experts in order to deliver a comprehensive managed print services proposition. The company is consistently looking for new ways to serve its customers, providing thought-leadership, business consultancy and solutions linked to IT security, workflow efficiencies and cost-saving initiatives. Our business objectives for 2019 are to continue the investment in the growth of our MPS strategy through the development of our talent, broadening our knowledge base in order to continue providing highly relevant and market leading managed service propositions to our growing client base. Pictured below – Carlo Longhi, Director & General Manager, Indirect Channels UK & Ireland at Xerox, Dave Dyas, President of DMO at Xerox, Peter Taylor, Head of European Services at Zerographic, Kevin Corbett, CEO of Zerographic, Mike Holyoake, Group Sales Director at Zerographic and Dan Walker, Journalist and BBC Television Presenter. To provide a secure and resilient data centre environment in readiness for rapid business growth. Support required 24×7, 365 days a year. Infrastructure needed to allow the group to be a multi-channel reseller. 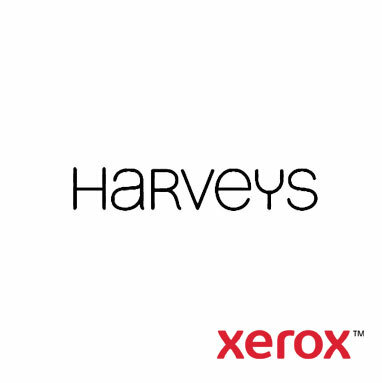 A fully outsourced, hosted and managed service, including first line helpdesk support for their retail staff on the shop floor, all managed through the Xerox Service Desk. Monitoring and management for Windows, Linux and Open VMS platforms. SQL, MySQL and Progress database administration. Backup, recovery and disaster recovery services. Services provided to match unprecedented business growth. Transition completed in time for Christmas and New Year sales. 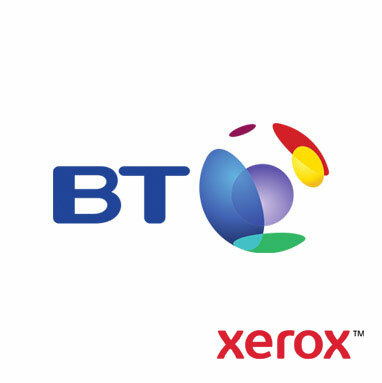 Xerox enabled best-of-breed applications to be selected to meet business requirements. Produce and deliver high-quality marketing campaigns to hundreds of stores within days – as a matter of course. Be more efficient and cost-effective by improving visibility of the marketing supply chain both for Morrisons and its marketing suppliers. Meet high quality standards and sustainability objectives. On-site advisory service to maximise the value of point-of-sale print, labels, publications and back-office materials. 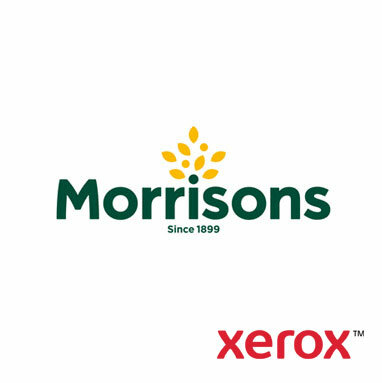 Xerox management of end-to-end print and fulfilment process, including stock management, colour and quality control and store-specific collation. Web-based collaborative workflow tool to connect all campaign stakeholders. High-quality campaigns delivered in days within budget. Process improvements and greater efficiencies. Significant cost savings over four years. Improved sustainability with less waste and use of fully recyclable materials. 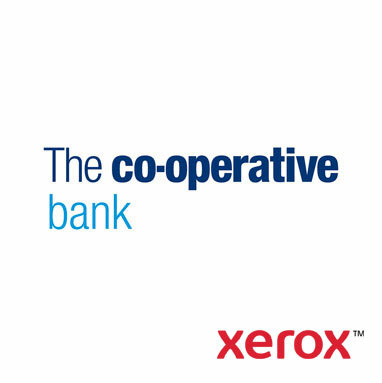 Ability to focus on strategic activity, leaving execution to Xerox. Meet tough new cost-cutting targets. Contribute to BT’s green agenda by reducing carbon footprint. Improve print service levels for users. Service improvement programme across the enterprise, focusing on office printing first, followed by reprographics. Development and implementation of improved processes to achieve new service commitments. A new communications programme to address common problems. £10.4 million saved over four years for office printing. More efficient ratio of users per printing device. 50% reduction in carbon footprint*. User satisfaction ratings that exceed target. *Results provided by the Xerox Sustainability Calculator, based on lifecycle analysis, which includes full environmental burdens, through material acquisition, production and operation when calculating environmental impacts. Advance the council’s cost-cutting transformation programme by understanding office print costs, centralising responsibility for it and finding savings in print service delivery. Support more flexible working across the council and make life as productive and easy for staff as possible. 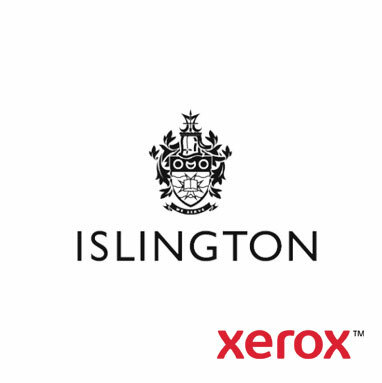 Following an in-depth council assessment of its environment, migration to a Xerox managed print service. 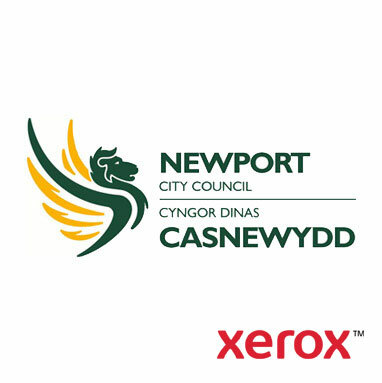 Consolidated billing and ability to onward charge council departments for their print use. Proactive device support and automated consumables ordering. Service portal for management visibility. Removal of 250 desktop printers. Rollout of new devices with features such as secure follow-you printing and scan-to-email. 17% fewer pages printed due to follow-you printing. 50% less colour printing (previously 42% of print costs). Network points eliminated and vital floor space freed through device rationalisation. Flexible working and information security supported by follow-you printing. 750 invoices reduced to 4 per year: saving tens of thousands of pounds in invoice processing. Refresh the council’s print services to help them deliver better, more sustainable services to the public, despite cuts in government grants. Support flexible working in a cost-effective and practical manner. Reduce carbon footprint to meet emission targets. Fully managed service across 66 sites with simple price per page and detailed reporting to enable tighter cost control. Energy-efficient devices to cut carbon footprint and deliver new print-related features to staff. Environmentally and cost-friendly print policy to minimise waste of paper and other consumables. Improved service and responsiveness to residents through elimination of unnecessary overheads. £1m saved in office print costs, equating to 28% over four years. 66% power saving with new colour devices; lower carbon footprint overall. Secure printing of confidential documents, thanks to new follow-you printing feature. Manage 10,000 items of correspondence a day (emails, letters, faxes) more effectively. Improve customer service and therefore satisfaction and retention. Develop a partnership that complements the business’s ethical credentials. Fully automated e-mailroom, processing and cataloguing of all inbound insurance and retail banking correspondence. Full Xerox enterprise content management service to automate downstream customer communication distribution and processing. Same-day turnaround of insurance claim settlements compared with seven days under previous system. Operational cost savings through reduction in manual processes, calls to service desk and filing space. Significant reduction in volumes of paper used. Improved regulatory compliance through better protection of customer documents. Department of Health’s quality, innovation, productivity and prevention program (QIPP) which aims to capture billions in savings through efficiency initiatives. Paper medical records have the potential to be misfiled or even lost, leading to delays at the point of care. Continuity of care can be a challenge because it’s difficult for paper records to follow a patient across a series of treatments ad care sites. Going Digital – An EMR was implemented and designed to provide clinicians, administrators and patients with reliable, flexible and secure access of patient information. 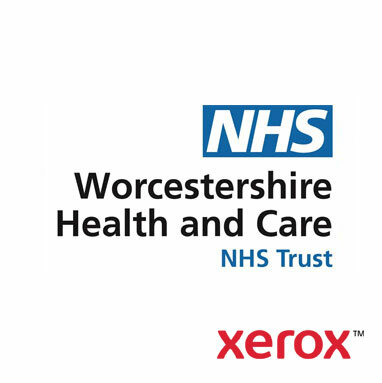 Single Electronic Records System – On its way to creating a unified EMR system and phasing out its paper files, Xerox decided to minimize the risk and implement the digital system in stages starting by rationalizing existing records-management processes. 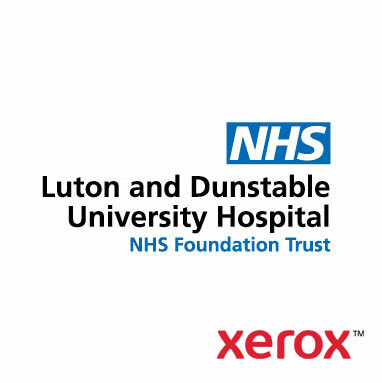 The joint project with Xerox will steadily transition the hospital from a paper-based environment to a fully digital platform for managing medical records. • Operational costs are expected to decline 15.7% or £2.2 million over the life of the contract. • Significant cost savings in staffing optimization, paper storage, transportation and management expenses. • Reduced instances of missing clinical notes to less that 0.5%. • Enabled repurposing of about 750 square meters of real estate for new clinical uses. Eliminate inefficiencies in paper-based patient record system of more than one million files. Avoid complaints and cancelled appointments due to unavailable files. Improve unsafe working conditions for records management staff. Cut record management costs to maximise tight operational budget. Improve security and control of patient records. Ten-year records management outsourcing partnership. Breakdown of the project into phases that deliver value at every stage. Transformation of existing business processes before introducing technology. Full involvement of medical and union stakeholders throughout. Continually improving service aimed at electronic records rollout. 7,500 missing records found, leading to improved patient safety. Complaints eliminated as files available at point of need. Records staff transferred to Xerox, equipped with new skills and now working in safe environment. Expected savings of £2 million over ten years. Secure information governance and auditing standards implemented. dentists and hospitals across the country. Its UK arm was launched in 2010 in Slough and, since opening, it has recorded impressive growth figures that show no sign of abating. In fact, it has expanded its premises, now employs around 170 people and is well on its way of achieving its aim of being the market leader in the pharmaceutical supply chain. 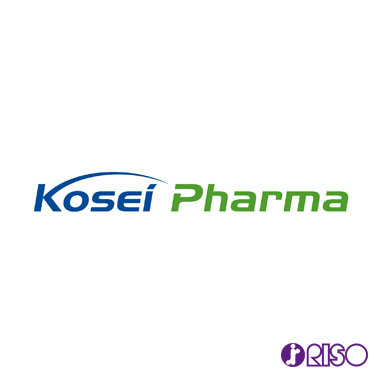 Kosei offers an extensive range of parallel imports, generics, contract labelling and additional products. Much of what it imports has to have new, English language labels put on to the boxes. Similarly, information leaflets that are folded up into the boxes need to be translated, printed, and folded to be inserted into the packaging. In busy but well-organised offices, the team of staff, with their lab coats on, work hard to get the medicines ready to dispatch. It has to be right; there is little room for error when it comes to products that help people who are poorly. So, with thousands of products being sorted every day, just how does Kosei manage to print the right documentation quickly and efficiently? Production manager Wardhaman Banawane said: “The RISOs are reliable and work hard and we have received excellent service from the RISO team when we have needed it. The benefits of using the RISO solutions are many. The Kosei team are able to do their jobs quickly and efficiently. The machines are perfect for the tasks at hand. For Kosei, it’s not about glossy materials, or flashy posters. It’s about utilising the right machines for the task. It’s about a key business in the pharmaceutical supply chain being able to rely on speed and efficiency because that’s what their business demands. Reliable, efficient, and compact RISO devices are ideal for the task that Kosei need them to do, day in, day out. Maybe it’s time you prescribed RISO so that your company can become as efficient as Kosei. Kosei utilises the power of RISO digital inkjet solutions. In their offices are two RISO ComColors. Both are capable of printing hundreds of documents, at record-breaking speeds. In fact, with the two machines working in tandem, they are often used to print out between 10,000 and 20,000 documents a day – each. From 8.30am to 10.30pm, printing goes on throughout the working day. The RISOs are real workhorses and it’s clear that the RISOs are valued and trusted members of the team. Kosei also has a RISO duplicator too, which can be called into action if needed.